Modern eating habits have led to an increased use of refined flours and wheat products, leading to a significant consumption of gluten. Some people are more sensitive to gluten that others and can experience symptoms such as bloating, pain, stomach cramps and skin irritation. For this reason, increasing numbers of people follow a gluten-free diet. People who are completely intolerant to gluten have Coeliac Disease and are treated, once diagnosed by a GP, by a gluten-free diet for life. Gluten can be hiding in a lot of different places, so reading labels is very important and food regulations now state that products containing gluten should be clearly labelled. Luckily, at Heart Space Whole Foods, we have a huge selection of Gluten Free and Free From products that you can trust. We source Gluten-Free bread from Findlater’s and Schnitzer giving you a selection of baked and part baked bread loaves, rolls, bagels and bloomers to enjoy at home. We have also scoured the UK for Gluten Free pasta, sauces, cereals, oats, biscuits and even oatcakes. 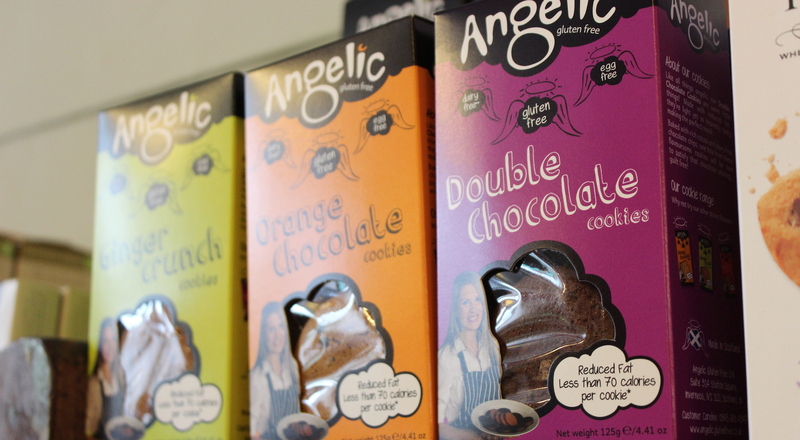 Our range of Gluten Free biscuits include Angelic, made in Aberdeen, Dove’ Farm biscuits and healthy snacks. We even have you covered for Gluten Free porridge oats from Alara. If there are any Gluten Free products you want, why not drop us an email and we will see if we can source it for you! You can also search our Recipe Blog for Gluten Free meal ideas and serving suggestions.